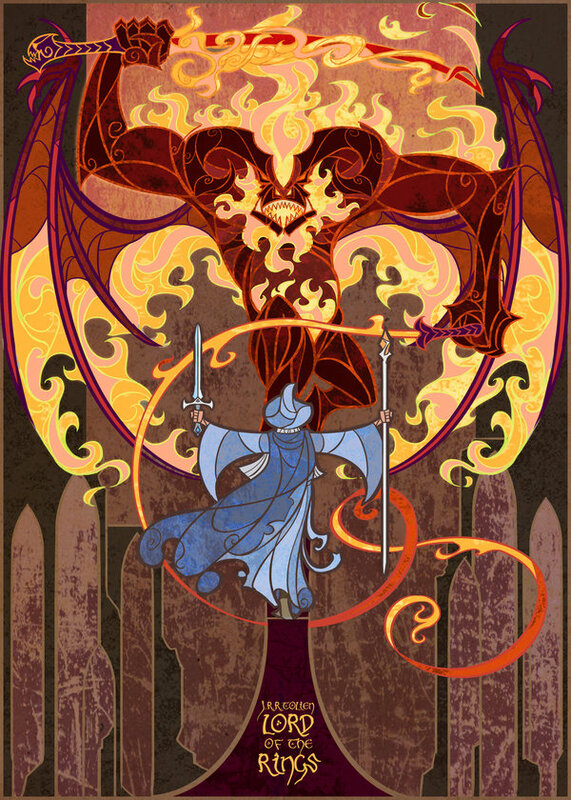 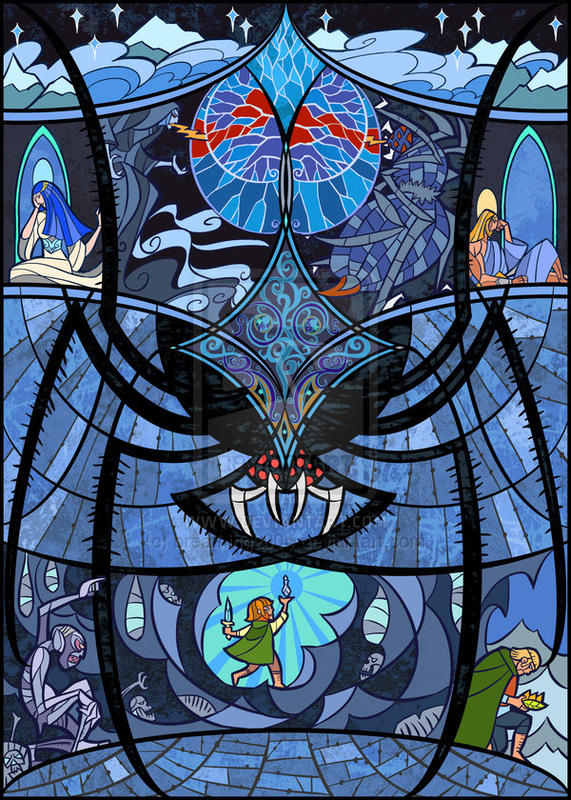 Artist Jian Guo has created a series of digital stained glass art inspired by JRR Tolkien’s masterpieces, Lord of the Rings trilogy and The Hobbit. 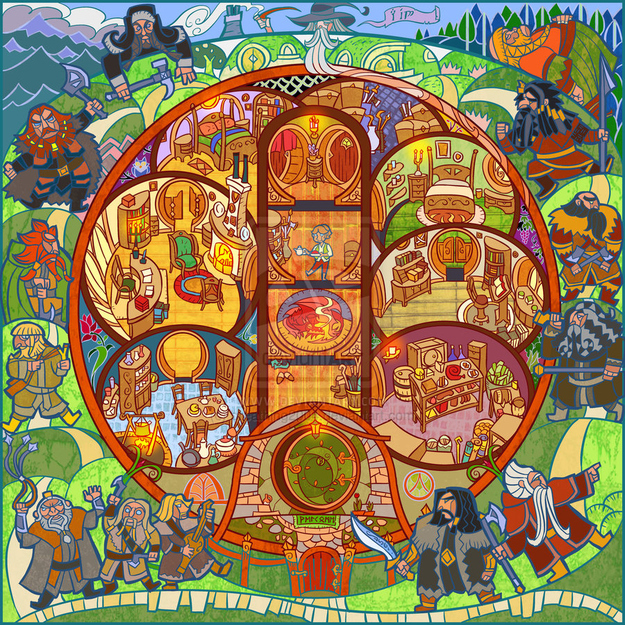 He has taken scenes from the books along beautiful passages and rendered them even more magical. 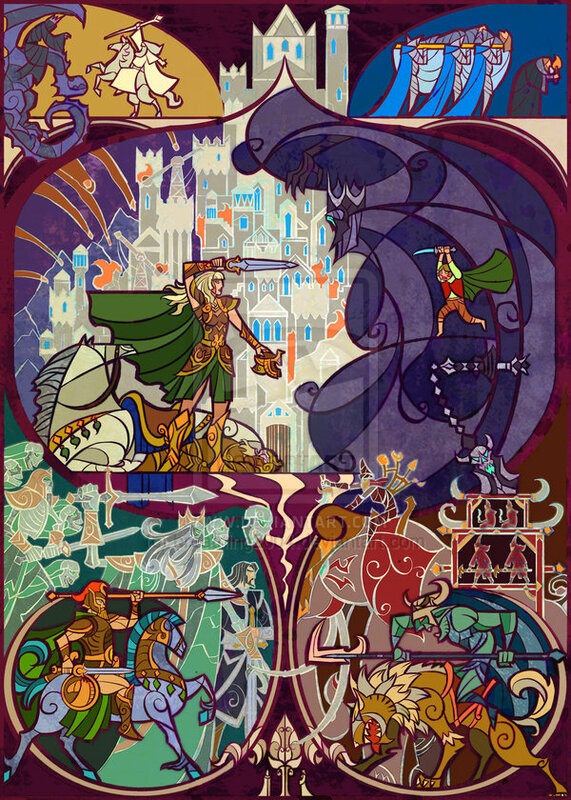 He has also depicted the festivities and battles in spectacular glory – just the way I imagined them in my head when I read these books I cherish so much. 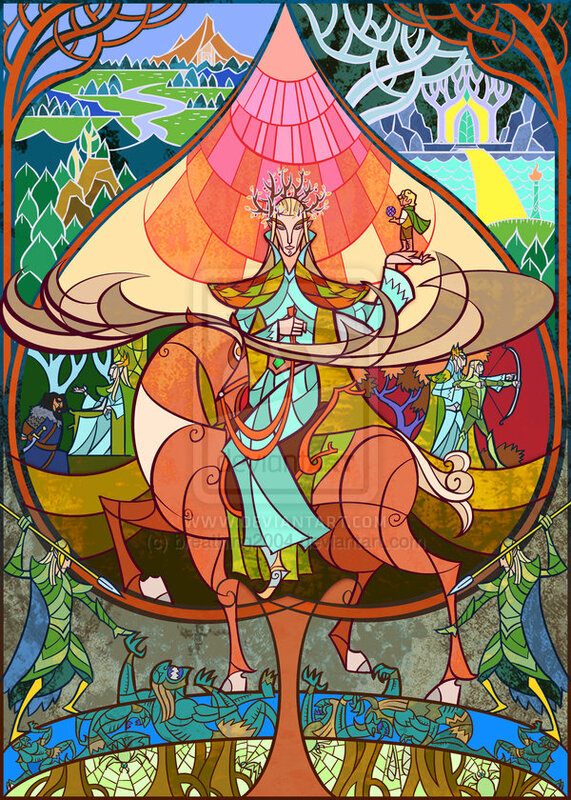 The artworks themselves are fit for hanging in the hallowed halls of Rivendell. 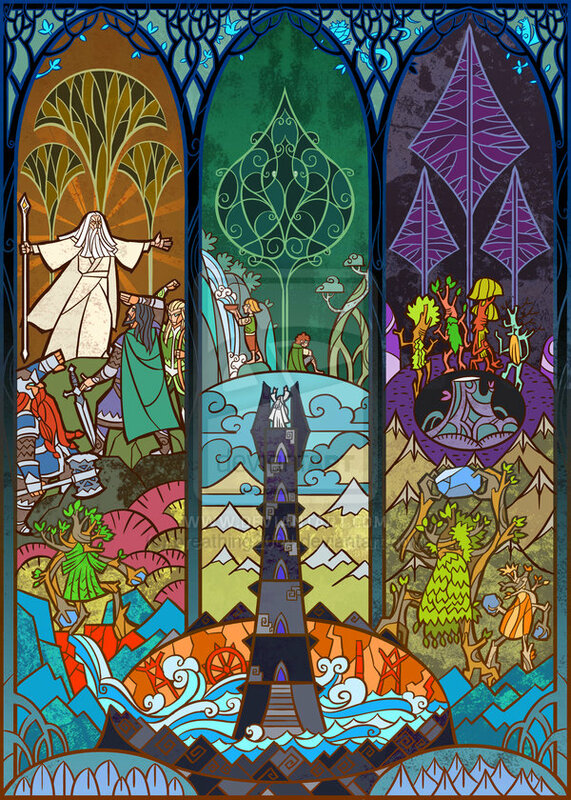 In a great hall with pillars hewn out of the living stone sat the Elvenking on a chair of carven wood. 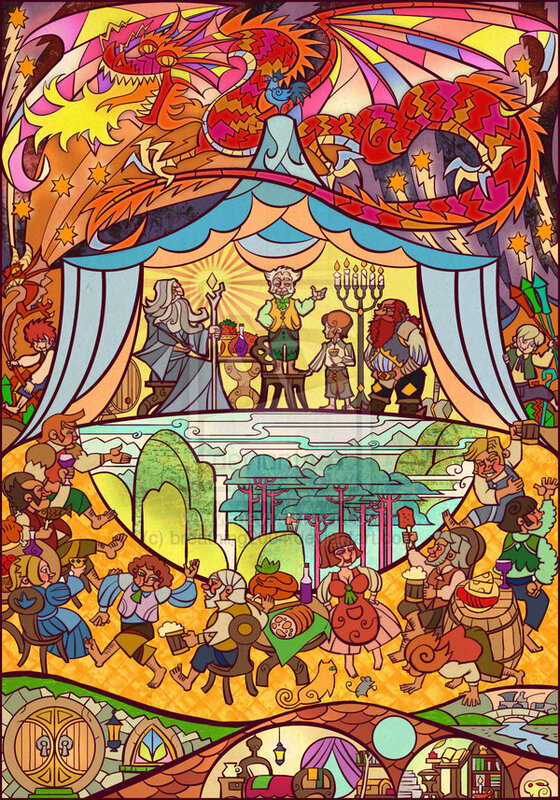 On his head was a crown of berries and red leaves, for the autumn was come again. 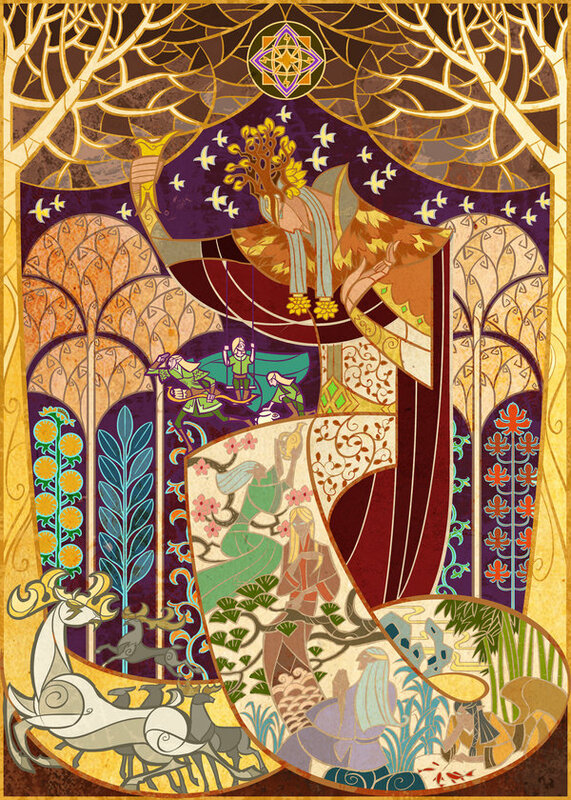 In the spring he wore a crown of woodland flowers. 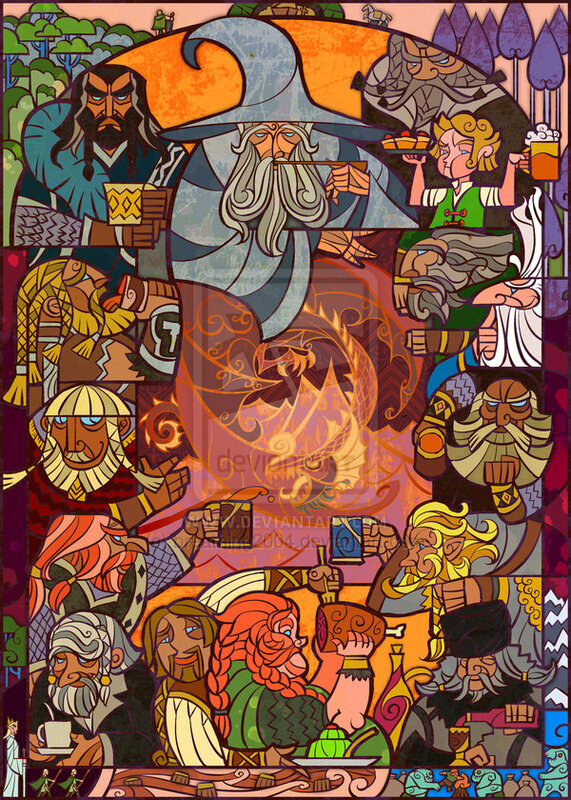 In his hand he held a carven staff of oak. 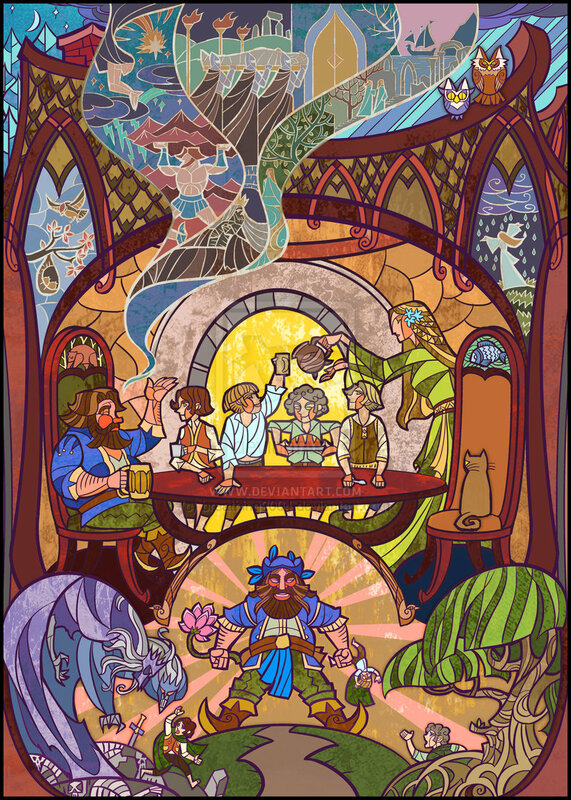 Bilbo Baggins was standing at his door after breakfast smoking an enormous long wooden pipe that reached nearly down to his woolly toes (neatly brushed)—Gandalf came by. 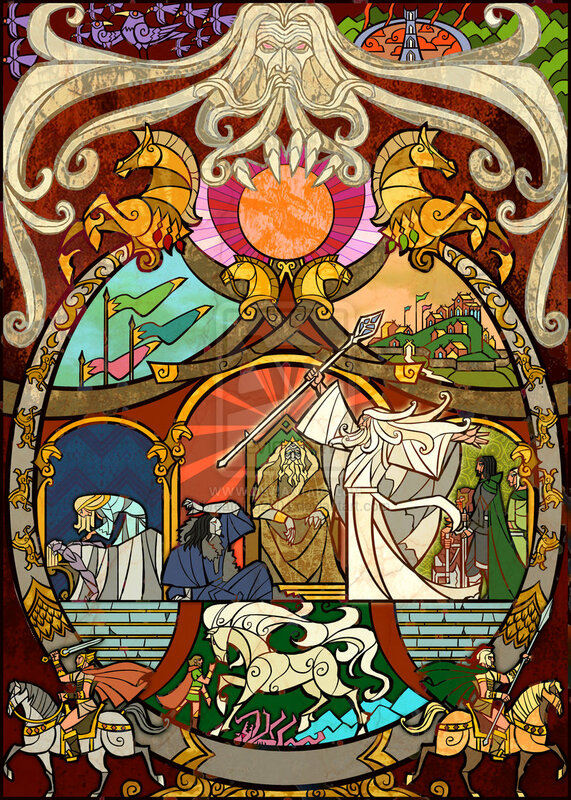 During the Battle of the Pelennor Fields, the Witch-king himself was slain by Éowyn and Merry: Merry’s surreptitious stroke with an enchanted Barrow-blade drove the Witch-king to his knees, allowing Éowyn, the niece of Théoden, to drive her sword between his crown and mantle. 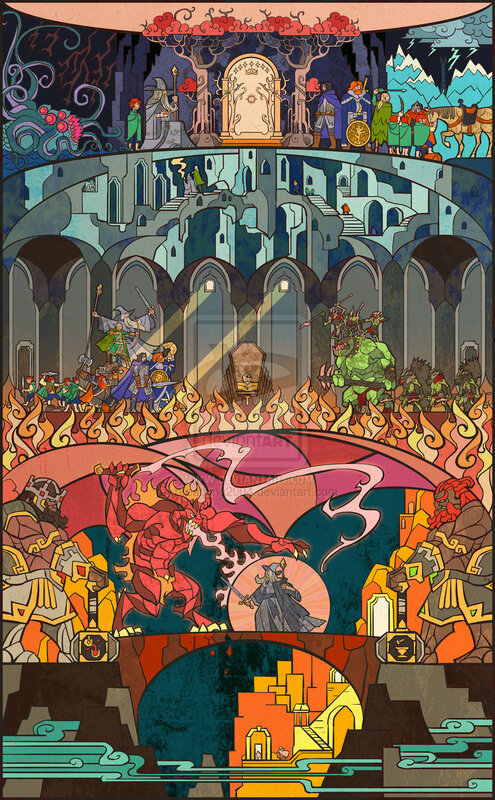 Thus was the Witch-king destroyed by a woman and a Hobbit, fulfilling the prophecy that “not by the hand of man will he fall”.Both weapons that pierced him disintegrated, and both assailants were stricken with the Black Breath. 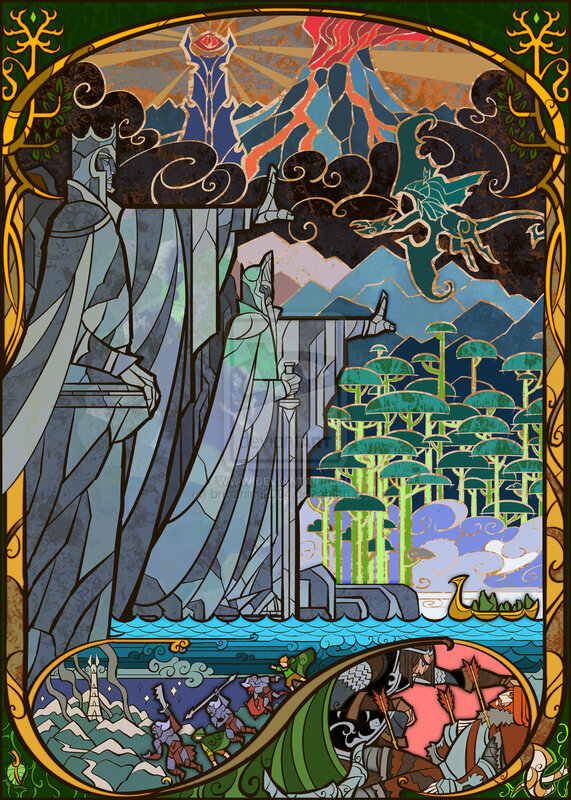 As told in “The Tale of Aragorn and Arwen”, Aragorn in his twentieth year met Arwen for the first time in Rivendell, where he lived under Elrond’s protection. 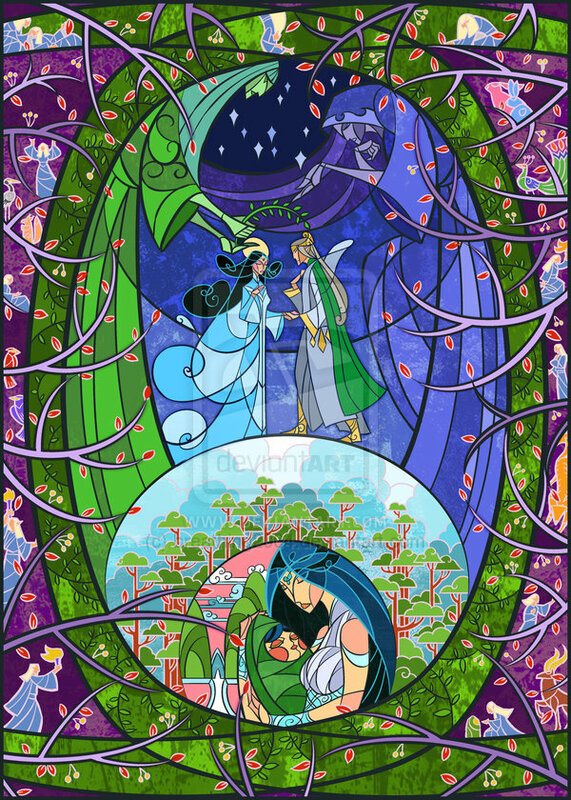 Arwen, then over 2700 years old, had recently returned to her father’s home after living for a while with her grandmother Lady Galadriel in Lórien. 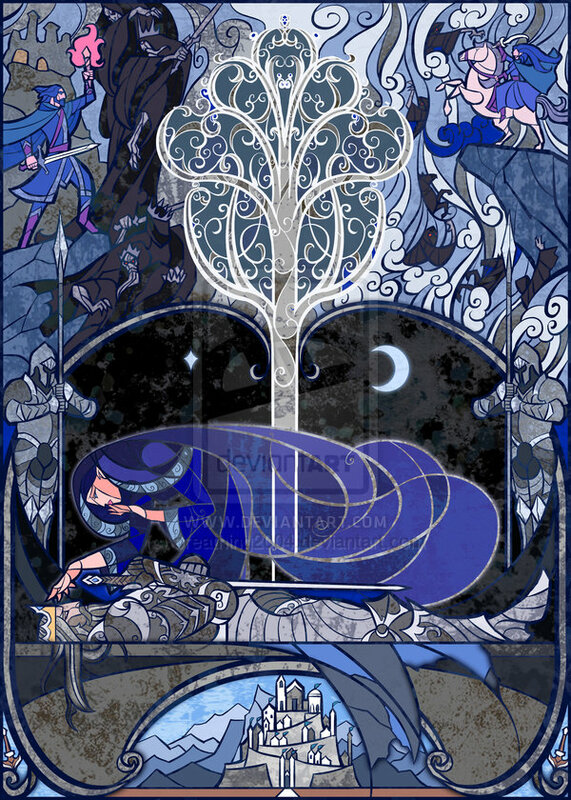 Aragorn fell in love with Arwen at first sight. 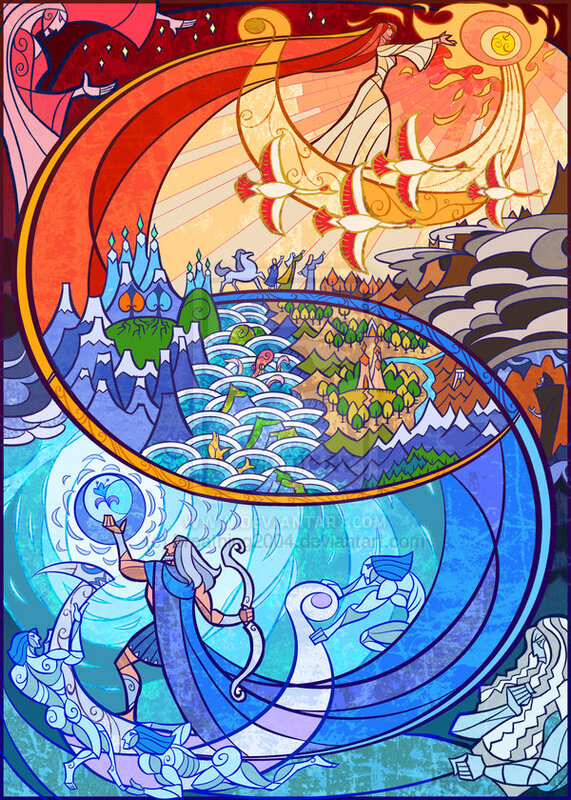 Some thirty years later, the two were reunited in Lórien. 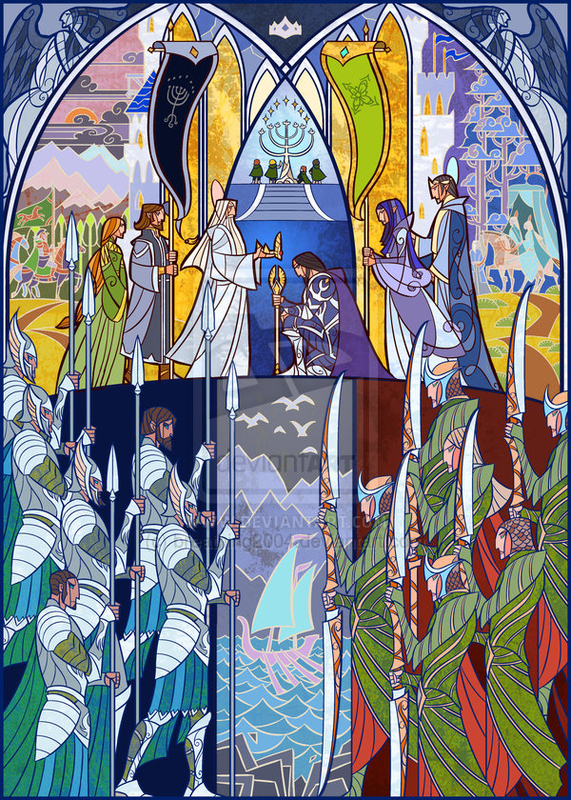 Arwen reciprocated Aragorn’s love, and on the mound of Cerin Amroth they committed themselves to marry one another. 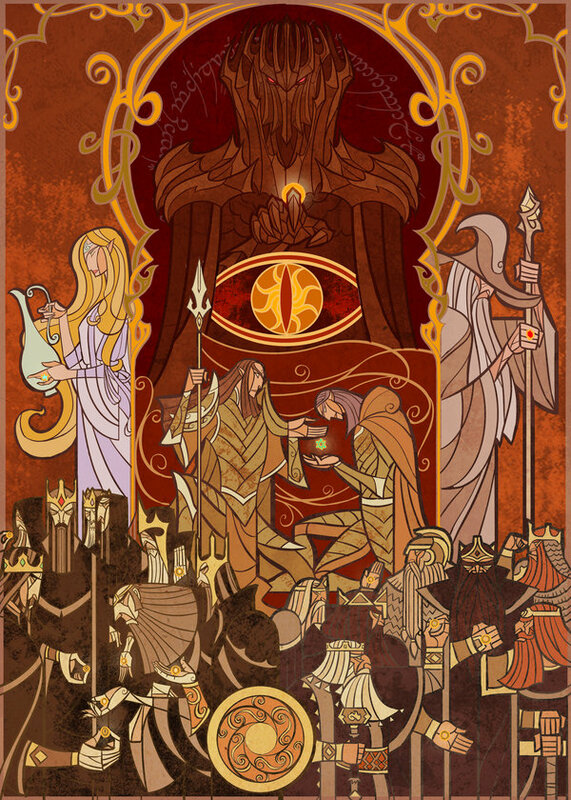 After the War of the Ring, Aragorn became king of Arnor and Gondor. 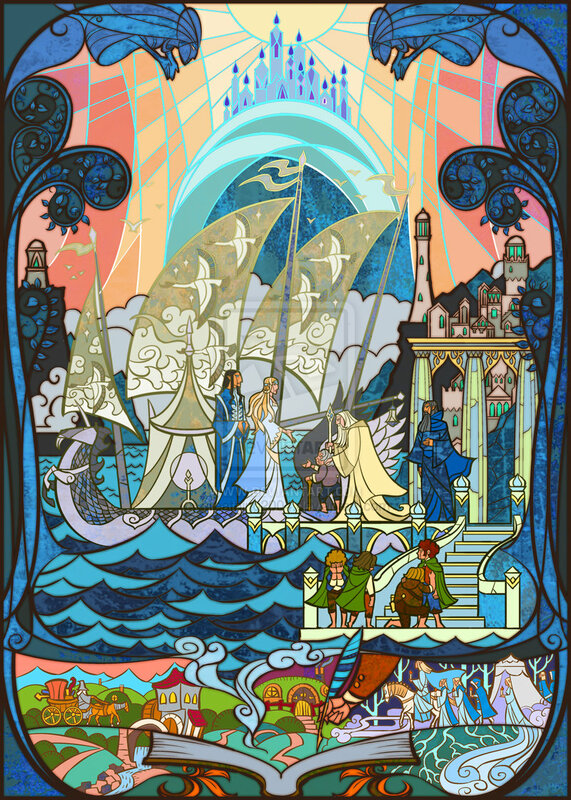 Arwen arrived at Minas Tirith, and they were married. 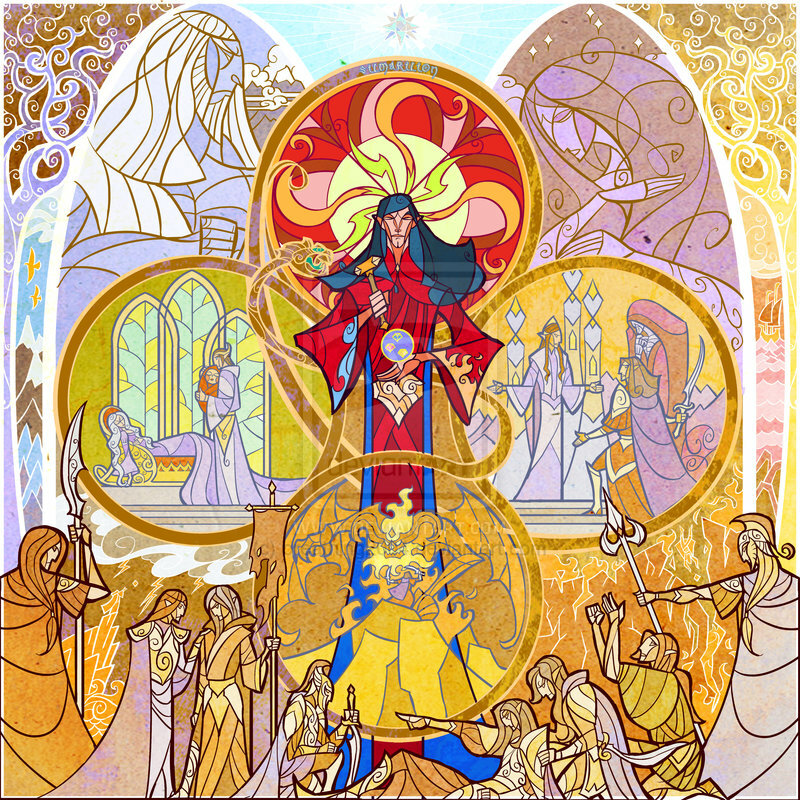 Her few appearances in the book suggest that Arwen is a minor character in The Lord of the Rings; but she serves as inspiration and motivation for Aragorn, who, as Elrond stipulated, must become King of both Arnor and Gondor before he could wed her. 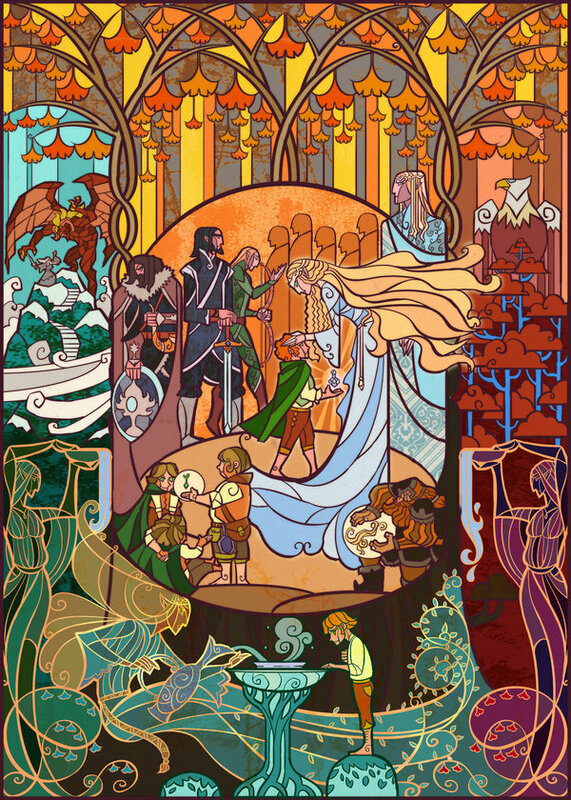 The Tale of Aragorn and Arwen relates that Arwen had a son, Eldarion, and at least two unnamed daughters by Aragorn. 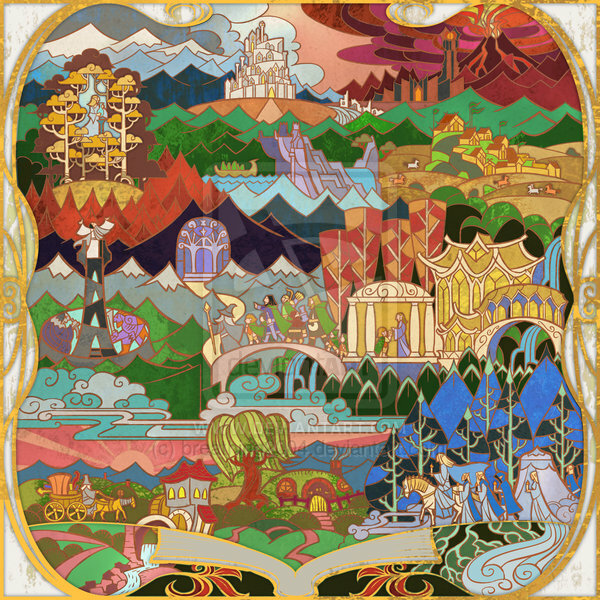 In F.A. 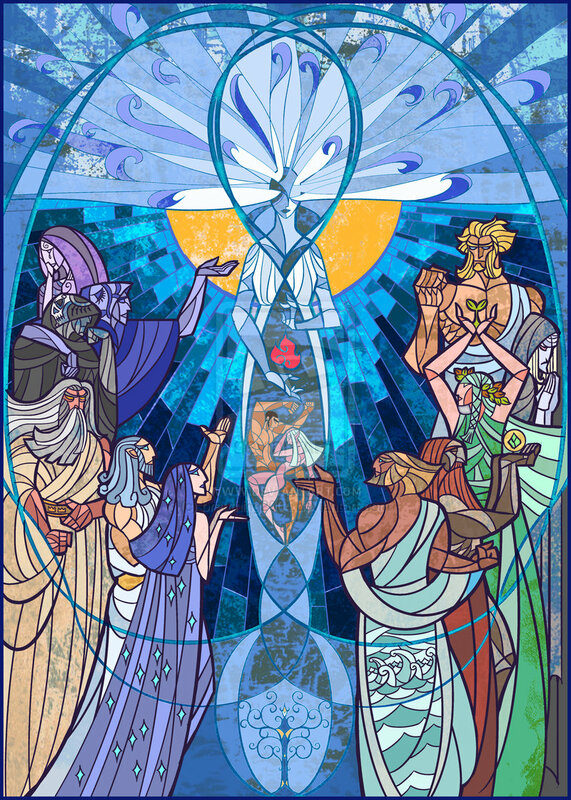 121, one year after Aragorn’s death, at the age of 2901 she gave up her life at Cerin Amroth.